Looking for the Best Radiator Cooling Fans Available ? 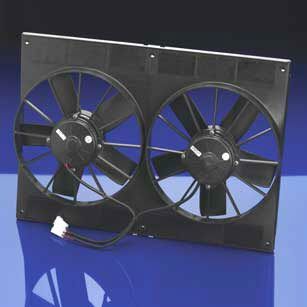 Spal cooling fans are world renowned for their performance and reliability. With dozens of models to choose from, you can't go wrong with a Spal cooling fan setup. Dozens of high performance fans in stock to choose from. Low Profile designs are easy to mount in crowded engine compartments. Most fans are available in Pull or Push styles to maximize airflow regardless of whether the fans are mounted in the engine compartment or in front of the radiator (condensor). Various styles of mounting brackets, fan relays and cooling sensors help make installation a breeze. Smooth quiet operation and long life expectancy come out of over 40 years of experience. Looking for the best cooling fan for your car or truck? Spal fans are your answer. And with over 50 different fans in stock and ready to ship, A1 Electric Automotive Accessories is your number one source for Spal fans. Looking for a specialty fan or blower? We can special order many of the fans that Spal makes, to assure you of getting the proper fan for your vehicle. Ready to shave the door handles off your car or truck for that clean look? The new SPAL Seven-Channel Shaved Door Kit comes with two four-button transmitters, receiver and wiring harness and two compact 40-pound solenoids. 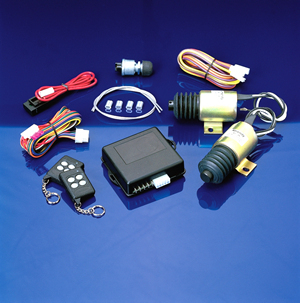 This kit is was also designed to be compatible with trunk release solenoids, power windows and linear actuators. All outputs are constant as long as buttons are held down. To ensure ease of installation, channels one and two have internal relays. Control the other five functions by adding external relays (A1 Electric part number: 8617). 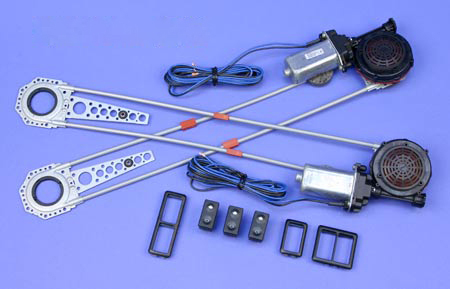 SPAL DP-3 Spring loaded door poppers are optional and can be used in conjunction with the pop door kits to give the door a slight outwards push after the remote controlled solenoid releases the door. Motors transmissions and switches are still available to keep your existing Spal installation in working condition. See our catalog for current listings.